There are a lot of turmeric supplements out there, a lot. 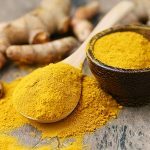 We recently released a turmeric extract that I'm really proud of; we've gotten a lot of really good feedback. I'd like to hear some more feedback from people who've made turmeric part of their nutritional protocol What benefits have you experienced? Leave a comment below and share your experience! Shailendra Kapoor, MD. 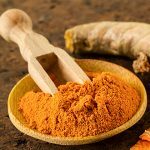 Curcumin and its Emerging Role in Pain Modulation and Pain Management. Korean J Pain. Jul 2012; 25(3): 202-203. doi: 10.3344/kip.2012.25.3.202. Hejazi J, Rastmanesh R, Taleban FA, Molana SH, Ehtejab G. A Pilot Clinical Trial of Radioprotective Effects of Curcumin Supplementation in Patients with Prostate Cancer. J Cancer Sci Ther 5: 320­324. doi: 10.4172/1948-5956.1000222. Piantino CB, Salvadori FA, et al. An evaluation of the anti­neoplastic activity of curcumin in prostate cancer cell lines. Int Braz J Urol. 2009 May­Jun;35(3):354­60; discussion 361. PMID:19538771. Tsui KH1, Feng TH, Lin CM, et al. Curcumin blocks the activation of androgen and interlukin­6 on prostate­specific antigen expression in human prostatic carcinoma cells. J Androl. 2008 Nov­ Dec;29(6):661­8. doi: 10.2164/jandrol.108.004911. Marie ­Hélène Teiten, François Gaascht, et al. 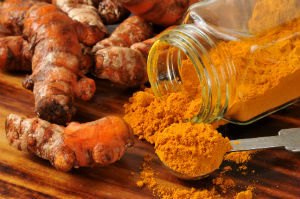 Chemopreventive potential of curcumin in prostate cancer. Genes Nutr. Mar 2010; 5(1): 61–74. PMCID: PMC2820199. Peter H. Killian, Emanuel Kronski, Katharina M. Michalik, et al. Curcumin inhibits prostate cancer metastasis in vivo by targeting the inflammatory cytokines CXCL1 and ­2 Carcinogenesis. Carcinogenesis (2012) 33 (12):2507-2519.doi: 10.1093/carcin/bgs312. Ledda A1, Belcaro G, Dugall M, et al. 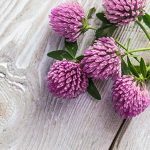 Meriva®, a lecithinized curcumin delivery system, in the control of benign prostatic hyperplasia: a pilot, product evaluation registry study. Panminerva Med. 2012 Dec;54(1 Suppl 4):17­22. PMID: 23241931. Kim HJ, Park JW, Cho YS, et al. Pathogenic role of HIF­1α in prostate hyperplasia in the presence of chronic inflammation. Biochim Biophys Acta. 2013 Jan;1832(1):183­94. doi: 10.1016/j.bbadis.2012.09.002. Zaahkouk AM, Abdel Aziz MT, Rezq AM. Efficacy of a novel water­soluble curcumin derivative versus sildenafil citrate in mediating erectile function. Int J Impot Res. 2014 Aug 7. doi: 10.1038/ijir.2014.24. PMID: 25099638. 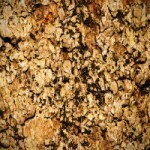 What Is Pygeum Bark and Can It Help Prostate Health?